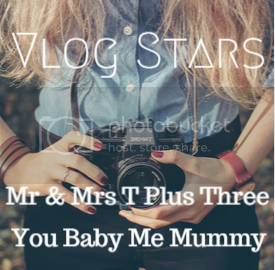 This month, I am linking up with Aby from You Baby Me Mummy and Amy from Mr and Mrs T Plus Three for Vlog Stars March 2016. This month topic is "5 Things Could Not Live Without and 1 Thing Could Live Without ". Husband took the "Little Ones" to the park allowing me to have some time to filmed without interruption. We also joined in Aby and Amy for #VlogStars #9 February 2016 "Work & Life Goals 2016", #5 "A Little Bit of Everything", #6 "Facts & Favourites" and shared Little LadyBug's birth story for #7 "Share a Story". Why not join us in April 14, 2016 with your video. The topic is "20 Questions Tag".